When you have an outdoors job that requires a heavy duty blade, be sure your tool is up to the task! 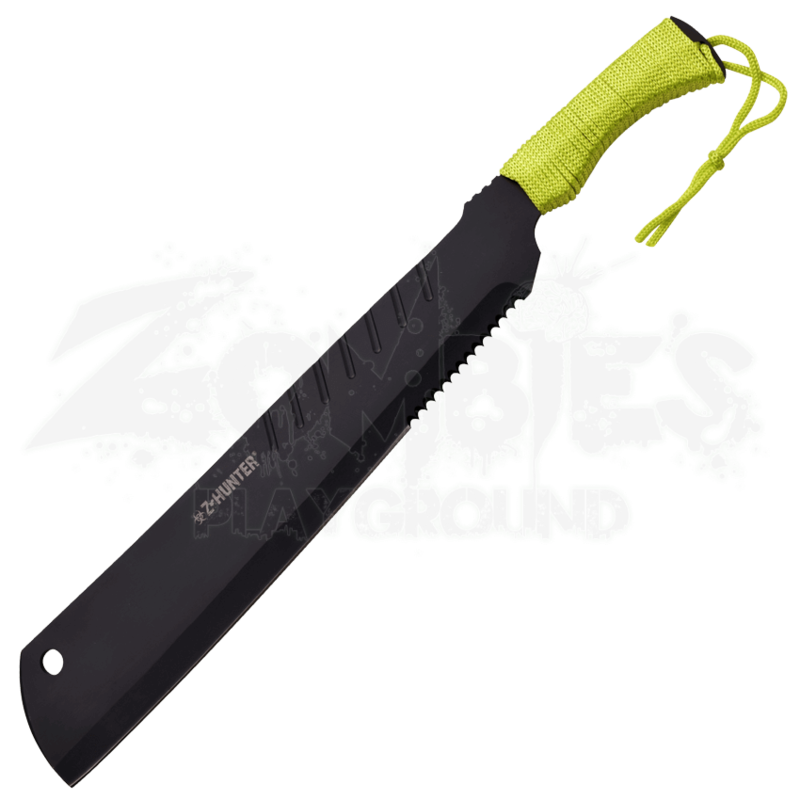 The Black Serrated Zombie Machete features a striking look and a high quality construction, giving you the best of both worlds. This functional machete features a thick, stainless steel blade that has serrations along a section of the belly near the handle. The steel showcases a black finish for a bold look. The handle has a wood piece inserted, which the bright green cord wraps around. 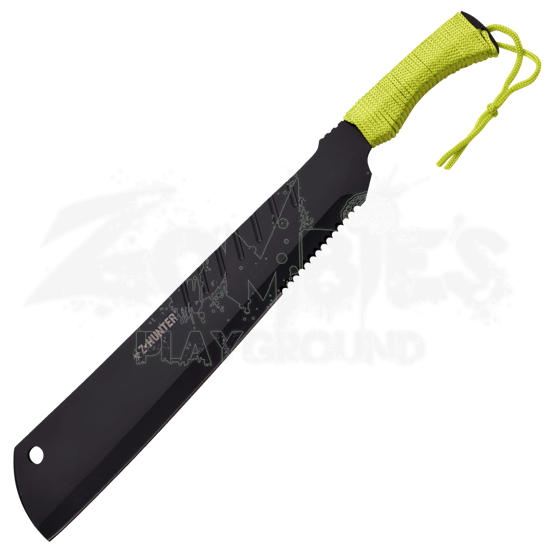 The zombie apocalypse machete comes with a nylon sheath to help you store or carry it safely when on the go.